Having a doctorate in Accounting and Finance, I hold a strong grip over the knowledge of accounting. 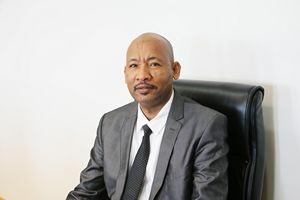 Currently I am working as an Associate Professor in College of Commerce and Business Administration, I have also served as an Associate Professor in University of Gezira, Sudan. I have worked in lecturer and Asst. Professor Capacities since 2000 in some of the prestigious University of Sudan and Oman. I have vast experience of 17 years in the field of Accounting and Finance at university level. I have published more than FIFTEEN research papers in reputed Journal (seven of them are Scopus indexed) and have authored a chapter in a Book on Role of Private Sector in Development evaluating &Exploring. Besides, I have participated and attended more than fifteen seminars/workshops. I also participated/engaged in Community services organized by the university and a member of loans Assessment Committee in AL Raffd fund in Dhofar Governorate. Teaching methods/style: Chalk and Talk, Power points and Case studies. Courses developed: Many courses at college and departmental level as I was the chair of committee for reviewing syllabus of accounting courses. I have supervised many students at Bachelor and Master levels.